Choose from a wide selection of wholesale marble golf awards and trophies. Each marble award or marble trophy is custom imprinted with your logo or personalized with your branded message for your next golf tournament, event, or outing. 4. 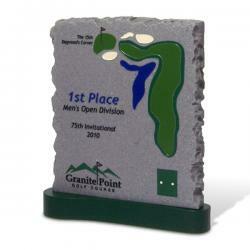 Your Marble Golf Awards will be produced and shipped followed by a tracking number sent by email. Budget Engraved Golf Ball Award - Golf Tournament Gifts..
StoneyCreek has your golf tournament covered! The Chiseled Golf Award is a unique and memorable gift for the participant, volunteer, coordinator and award winner in your tournament or office. The edge of the award has a chiseled texture. Choose the marble..